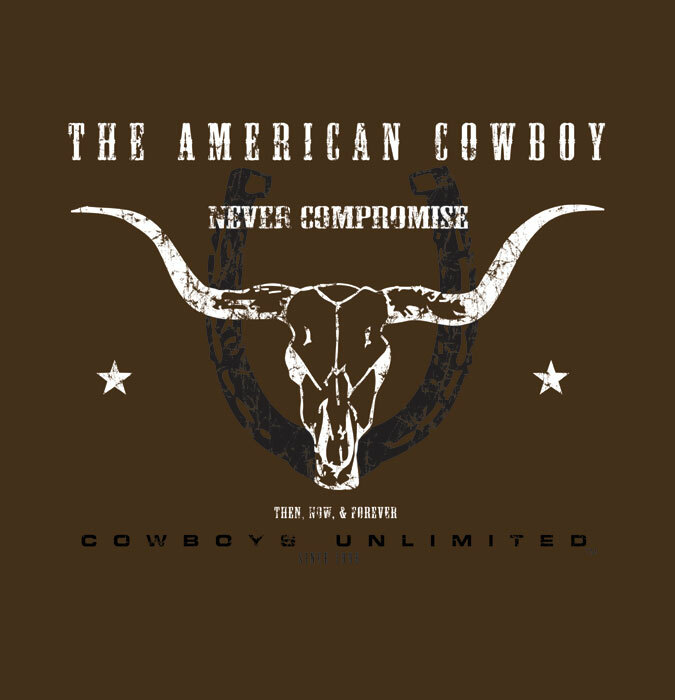 "Never Compromise" American Cowboy design is on back of T-shirt. "The American Cowboy: Never Compromise. Then, now & forever."